China’s commitment to mitigate climate change. In 2015, China became one of the first Asian countries – alongside Japan and South Korea – to come out strongly with a commitment to combat climate change and to adapt to eventual future impacts. Context. 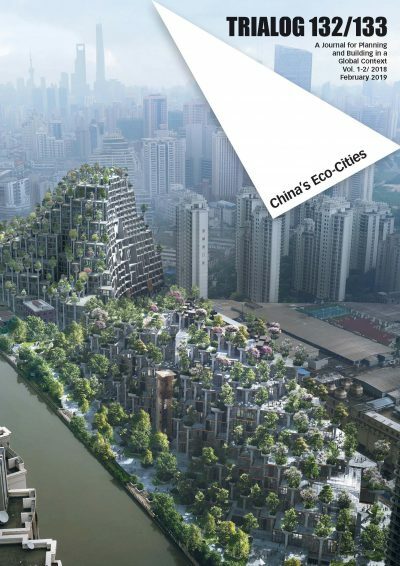 With a population of about 1,300 million people, China is one of the world’s major emitters of greenhouse gases (GHG). At the same time, it is also is of the countries that is most vulnerable to the negative impacts of climate change. Commitment. In preparation for the 2015 United Nations Climate Change Meeting (COP21) in Paris, the government of China announced that the nation’s GHG emissions will peak in 2030. China is likewise committed to reducing, by 2030, the intensity of its levels of carbon usage in relationship to its gross domestic product (GDP), in comparison to its 2005 levels, by 60-65%. Furthermore, the country is assuming the responsibility of substantially increasing its forest cover, and plans for some 20% of its energy requirements to be covered by renewable energy by 2030. Actions. The country’s measures aim not only at mitigating its GHG emissions, but also at coping with the negative impacts of climate change on food production, the protection of its population, and in introducing climate-proof infrastructure. China intends to abide to the climate change agreements of COP21. The international community views the proposed measures as ambitious, but achievable. China started with low-carbon development several years ago, and is now working towards a full-fledged programme for the green development of its economy. Eco-cities and climate change. China’s activities in favour of eco-cities must be seen as part of its contributions to low-carbon development aimed at mitigating climate change. The Ministry of Housing and Urban-Rural Development (MoHURD), which is supported by the European Union (EU) through the Europe-China Eco-Cities Link Project (EC-Link), is among the various existing mechanisms that support low-carbon development. The contributions in this volume of TRIALOGsummarise the conclusions expressed in the EC-Link position papers on the current state of Chinese green urban development. Demonstration of best approaches to implement low-carbon solutions by introducing appropriate urban planning tools. Best practice low-carbon planning is identified in both Europe and China and made available nationwide to municipal governments. Advanced planning tools are deployed at local levels with the support of the project, with a view to refining proposed low-carbon planning models and to scaling them up across the Chinese provinces. Serving as a testing ground for innovations in specific low-carbon policies (e.g., energy performance labelling for buildings, intelligent transport systems, smart cities, GIS planning tools, and eco-city labelling schemes) and technologies (in the nine sectors selected by the project: compact urban development, clean energy, green buildings, green transportation, water management, solid waste treatment, urban renewal and revitalisation, municipal financing, and green industries). Improving the potential of Chinese municipalities to finance low-carbon solutions and, notably, their ability to attract private-sector financing in the form of public-private partnerships. EC-Link supports MoHURD to define innovative financial schemes, to conduct feasibility studies and in the formulation of finance and investment proposals, to better coordinate and leverage investments undertaken by European Union (EU) member states, and/or to link projects to European financing institutions (e.g., European Investment Bank) and to European companies. Establishing knowledge networks and testing the functionality of the support mechanisms by leveraging, scaling up, and integrating transformative actions supported by the policies and technology tools developed under the project. To assist in the definition of long-term best practices, the knowledge platform documents how strategic objectives have been translated at local levels and how results have been integrated at the national level. The results are to be shared at the local level via training and capacity building, and at national and international levels via the knowledge platform set-up by the project. Nine key areas. MoHURD and the EC-Link Technical Assistance Team have identified nine specific sectors of highest relevance for urban eco-solutions: compact urban development, clean energy, green buildings, green transportation, water management, solid waste treatment, urban renewal and revitalisation, municipal financing, and green industries. In this volume of TRIALOG, the authors introduce and explore the state of the art in China pertaining to these issues. Outlook. The Chinese eco-cities referred to in this volume of TRIALOG are a manifestation of the current trend of urban development in China. Within the national context, however, they are nevertheless still marginal in terms of numbers and rather represent experimental pilot schemes. Can they kick off a mainstream practice for the entire nation? Many people are contemplating the directions the future will take, and numerous suggestions and possibilities exist regarding what could and should be done in the near future. The following four suggestions look towards a concerted national agenda. Development of mandatory eco-city implementation guidelines, with clearly defined targets for cities and for the private sector. Such a national agenda should be rolled out in all cities that are working with MoHURD and the National Development and Reform Commission (NDRC) on smart city or eco-city development. Translation of the national agenda (and Five-Year Plan goals) into city-level, eco-city action plans. Such plans should become part of the routine operations of cities, and the accomplishments should be subject to regular reviews by the government. Such city-level, eco-city action plans should likewise also become part of the consultations with local stakeholders (i.e., the private sector) and be part of city-to-city networking and exchange. Creation of an eco-city development fund, as part of a national financing initiative of the government, and the creation of a set of well-targeted subsidies and investment incentives. Establishment of an eco-city campaign that selects and awards the best practice examples. The campaign should develop and publish good practices more widely through dedicated websites like eclink.org.